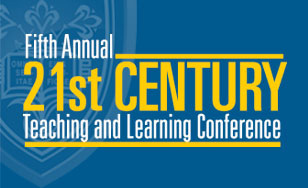 St. Scholastica will offer a day full of insights on topics related to teaching, from technology to social issues and more, at the fifth annual 21st Century Teaching and Learning Conference on June 16. The conference will feature speakers and workshops with valuable information and innovative ideas for anyone in the education field. Registration is $125, which includes breakfast and lunch. Attendees, including both teachers and administrators, will receive Continuing Education Credits for attending the entire conference. Keynote speaker Mark Garrison will kick off the event at 8:30 a.m. in the Mitchell Auditorium with his address: "Explore. Learn. Change." Garrison is director of technology at White Bear Lake Area Schools, and a strong advocate for technology in the classroom. His address will discuss the power of lifelong learning, the paradigm of change in education and the power of technology in the classroom. He will frame learning as an adventure and leave participants with a challenge they can put to work right away to innovate their own teaching. The keynote address will be followed by breakout sessions from 10 a.m. to 4:30 p.m. Some of the session topics will include: strategies for middle school and high school teachers to help struggling readers; the impact on poverty and homelessness on learning; traditional Ojibwe storytelling as a teaching method; and Google Classroom and Google Apps for Education. For the complete schedule or to register, visit: css.edu/teachandlearn. The conference is sponsored in part by St. Scholastica's Master of Education program, a 100 percent online degree program for practicing teachers and other education professionals.